Thank you India, Maya, Imogen and Mia! 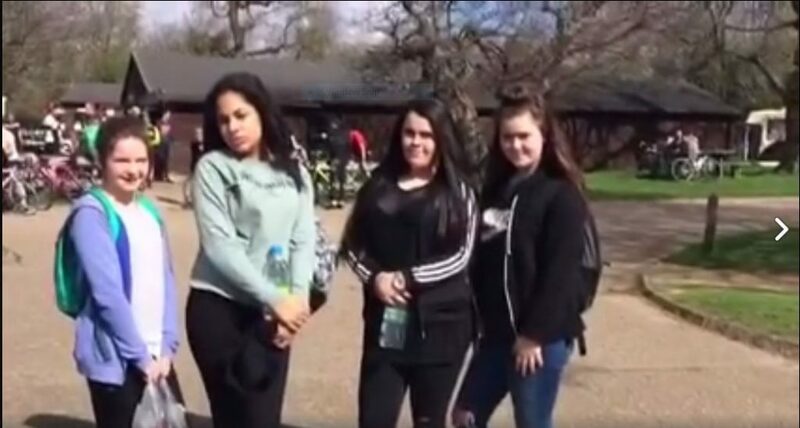 APNI would like to say huge thanks to India, Maya, Imogen and Mia, four lovely young ladies from the Lady Margaret School and Fulham Cross Girls’ School for raising £236. The girls have completed a sponsored 5k walk around Richmond Park during the Easter holidays to raise much-needed funds for APNI. What a fantastic achievement from these young ladies, thank you so much. The video of their walk can be viewed on our Facebook page, do take a look. Well done ladies, you were all brilliant. To make an online donation please click on the button below. This will take you through to our Just Giving page or our Virgin Money Giving page . All donations are appreciated however large or small. Please sign up to our newsletter. Your email address stays (only) with us and we will provide you with useful information about Post Natal Illness (like some of the amazing fun things our fundraisers do). Sign up here. © 2016 APNI - Association for Post Natal Illness. All Rights Reserved.